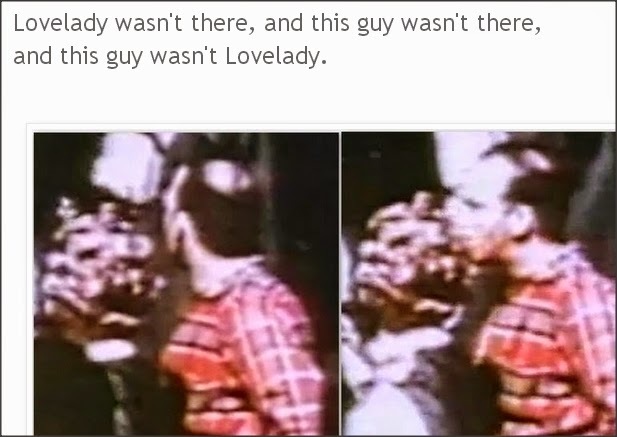 Oswald in the Doorway (not) : the blog of the Oswald Innocence Campaign,debunked by Lance Uppercut: Ralph finally admits that Billy Lovelady is in the Martin Film! Ralph finally admits that Billy Lovelady is in the Martin Film! 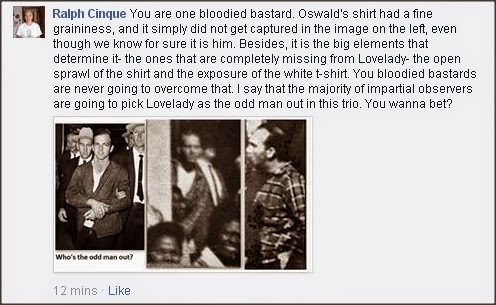 "I say that the majority of impartial observers are going to pick Lovelady as the odd man out in this trio". Since we know that Ralph believes the Altgens doorway figure in the centre of his collage to be Oswald, he must be referring to Lovelady as the figure on the right, a crop from the John Martin film. Huff some more HGH, Ralphie…... then revise and extend your remarks. Nice one, Lance. Thanks !